What Roads Lead to the Union? The A. Ray Olpin Union is the community center of campus that complements the academic mission of the University. The Union cultivates an environment that serves students by providing social, cultural, leadership and co-curricular opportunities. The Union values diversity and promotes a safe and welcoming atmosphere where students are inspired to realize their potential. Originally located in David Gardner Hall, the Union has been a fixture at the University of Utah since the 1930s. On January 1, 1957, the now 60-year old A. Ray Olpin University Union opened its doors. Since that day, the Union has served as the hub of campus life. Located in the center of campus, this building is more than bricks and mortar; it is a space where all students, staff, faculty, and members of the campus community feel welcome. Through student involvement, dining options, spaces for students to congregate and study, events, information hubs, recreation, and resource centers, the Union upholds its mission. 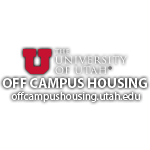 No matter where you are on campus or what you are seeking at the University of Utah, all roads of college life lead to the Union. Driven by the philosophy that all roads lead to the Union, we are excited to bring you the All Roads Lead to the Union Newsletter. This monthly publication compiled by the staff of the Union Administration Office will serve to highlight the countless activities, services, and people that make the Union the hearthstone of campus and an integral part of the university’s goals.